Following the release of the Air Jordan 1 Low "Shadow" at the end of December, Jordan Brand is continuing the release of Jordan 1 Lows with a new black and white colorway. Almost identical to the Air Jordan 1 High "Cyber Monday" that released back in November, the Air Jordan 1 Low "Black/White" features black laces and black leather upper set on top of a white midsole and outsole. The only differences are the white heel tab found on the low and the NIKE AIR tag on the tongue, which is white with black lettering on the low and black with white lettering on the high. While low top Air Jordan 1s aren&apos;t as popular as high tops, the clean and simple colorway should be well received as it was on the "Cyber Monday" Air Jordan 1. 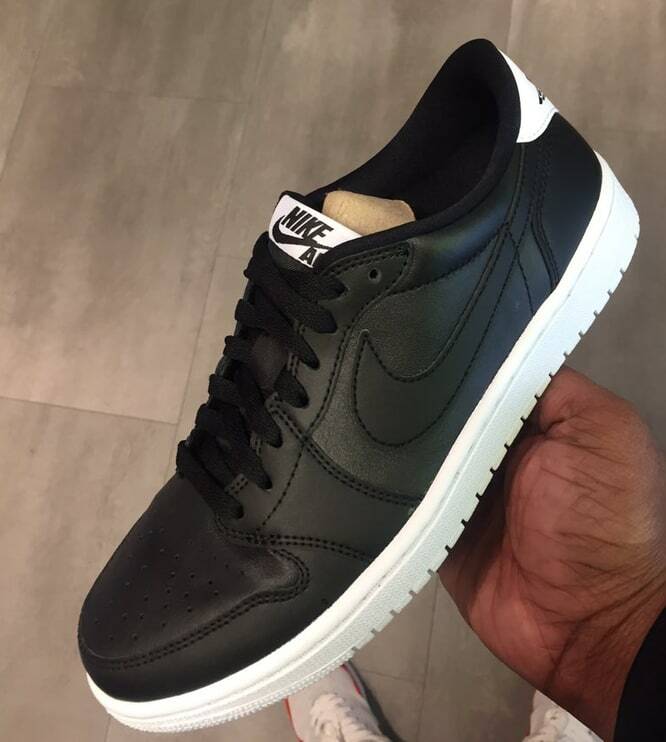 The Air Jordan 1 Low "Black/White" is scheduled to release on January 23 for $130 at select retailers. Stay posted for more information and official images.